HomeMan UnitedShould Solskjaer Stay, What Happened With Di Maria And How Long Will Juan Mata Play? 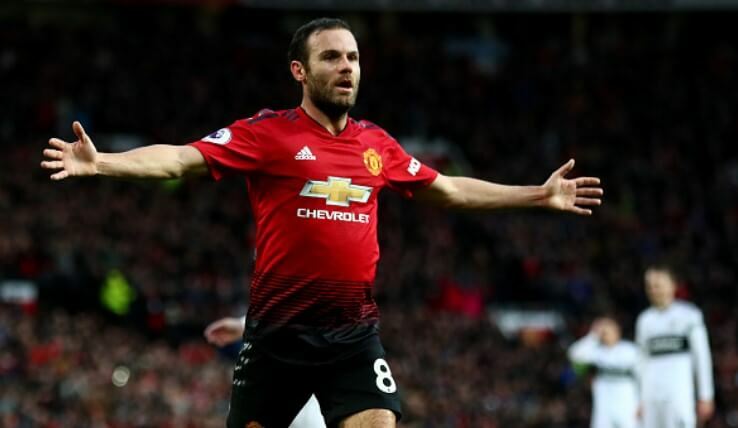 Should Solskjaer Stay, What Happened With Di Maria And How Long Will Juan Mata Play? Manchester United are on a run of six consecutive wins. This has not happened for a while now and all of those matches came since Ole Gunnar Solskjaer arrived at the club. The team has improved massively and their 1-0 win over Tottenham could prove decisive in many regards. So, there is a big question now, as it would be expected in these circumstances – should Manchester United keep Solskjaer after this season or not? While there could be a simple yes or no answer, it is not as simple as that. Gary Neville spoke about that and here are some of his thoughts on the subject. “Ole Gunnar Solskjaer is picking the profile of player Manchester United need and that’s players who have the energy to get from box to box quickly and counter-attack with quality. You’ve seen that in the last few weeks”, said the former full-back and then continued with his point of view. And there is a good reason for this. Had Man United lost or even drew against Spurs, there would probably already be some voices telling everyone how Solskjaer might not be ready for this task. There is too much instant decision making and this one actually requires time. Solskjaer will have enough time to prove if he is worth the seat next season, but making decisions right now would be foolish from the Devils. Angel Di Maria will be part of PSG’s squad next month when they take on Manchester United in the Champions League round of 16. As a former Devil who had spent one season at the club, he spoke to the France Bleu about his troubling times at the club. “Manchester United changed with they new coach, they did not lose a match. But we must think of ourselves and nothing but ourselves! If we do things well, everything will be fine. “I only stayed one year, it was not the best time of my career, or rather I was not allowed to spend my best time. This February he will have his chance to demonstrate who he is against Man United, but Solskjaer’s boys will not be giving up easily. Juan Mata has a wish and it might not be a small one. He wants to play football for many years. How many? “I would love to play until I am 40 like Giggsy did! I feel good, mentally and physically. And with more experience you understand the game better so you can position yourself in better situations and you can make better decisions when you have the ball, and when you don’t have the ball, so you can make up for your natural physical progression”, Mata said for the Manchester United magazine. Is there anyone in this world who would not like to see Mata playing football for 10 more years?